Tell me if this sounds familiar: You’re scrolling through Facebook and you see announcement after announcement — babies, weddings, new houses. It seems like your virtual friends have it all figured out. This propensity for oversharing is especially hard for people who struggle with fertility issues. According to Resolve, one in eight couples struggle to get pregnant or sustain pregnancy. It’s a brand of frustration and heartache that Whitney and Spencer Blake know all too well. “We were on a road trip, and our conversation turned to infertility and how pregnancy announcements can sometimes be hard for people like us to read, even when we’re legitimately happy for the people,” Whitney explained to FunnyModo. That’s why they decided to put a new spin on social media pregnancy announcements to document their journey from infertility to adoption. Spencer and Whitney adopted these two beautiful boys in 2012 and 2014 after a four-year battle with infertility. Before they reached their destination, however, the creative duo decided to cope with their sadness by going at it with a sense of humor. “When we were in the heart of our struggle with infertility, we sometimes used humor as a coping mechanism. We realize that is not how everyone deals with challenges, but for us personally, we found that having a sense of humor made infertility a bit more bearable,” she writes. Thousands of women and men who want nothing more than to become parents drown in a sea of happy announcements on social media. That can be deeply isolating. 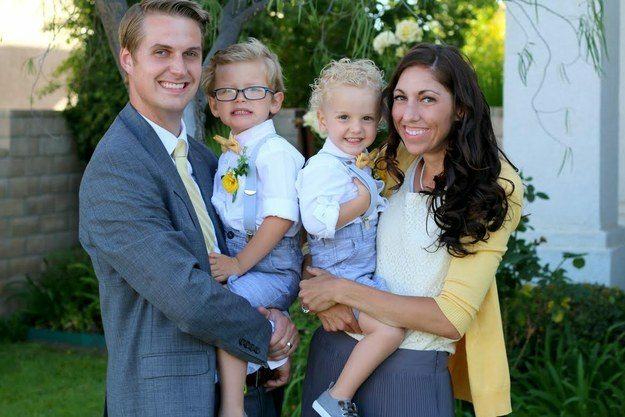 This mother’s battle with infertility influences the way she approaches parenthood today. “In a way, infertility is maybe harder for me to talk about now that I have kids than it was when I was waiting for them,” she explained on her blog. To keep up with this family’s adventures, be sure to follow Spencer Blake on Facebook and check out the couple’s website! If you’re struggling with infertility issues of your own, head over to Resolve’s site to learn more about how you can find support.